In this very first episode of The Dinner Special, I tell you about my two main reasons for starting The Dinner Special podcast, a little bit about my background including what I make for dinner and why it troubles me, and what I hope you’ll get out of my conversations with food heroes. This is an extension post to The Dinner Special About page, which can be found here. it’d be so awesome if you could tell me a little bit about you. How did you discover The Dinner Special podcast? What do you hope to gain from listening? I’d also love to hear your feedback on what I can improve on and how I can make your experience better. 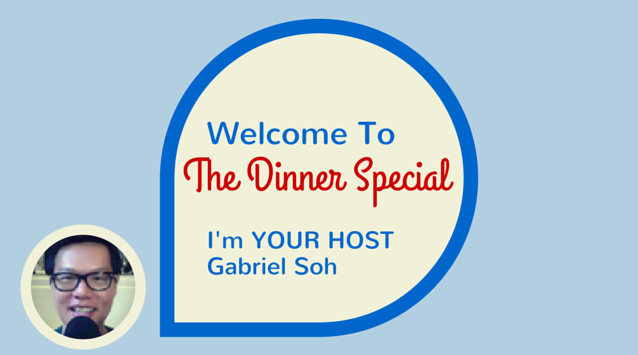 You’re a huge part of The Dinner Special and I’m always excited to hear from you. You can either post a comment below or send me an email at: thedinnerspecial [at] gmail [dot] com. Thanks so much for listening and allowing me to do something I’m passionate about.